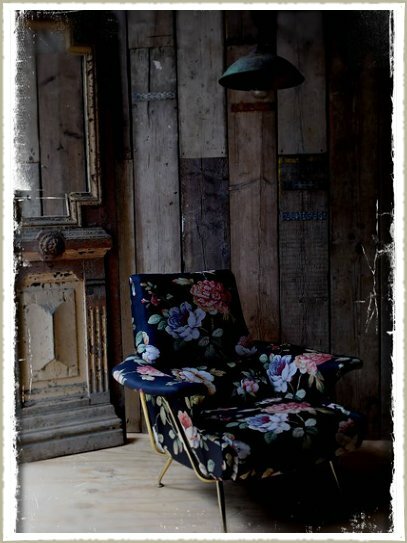 Beautiful 1950's Italian Chair, upholstered by us in Swaffer fabric. The chair has an aged Brass finish and is amazingly comfortable! A striking statement, yet timeless and classy!